Chevrolet hasn’t had much to say about the Corvette since the introduction of the ZR1, but it looks as though the company will introduce a “special edition” package on January 25th. Discovered by the folks at Corvette Blogger, this mysterious Chevy sports car will be unveiled at 11:30am in the Corvette Experience area at the Rolex 24 Hours of Daytona. None of the Corvette experts online seem to know what this special edition vehicle will be and there has been no word from GM, so we don’t know what we will see on Friday, but it will likely feature racing inspiration. The company has been testing what appears to be the mid-engine Corvette race car in Florida, leading some people online to suggest that this news from Daytona could pertain to the next generation, but it seems unlikely that they would call a race car or a next-generation model “2019 Special Edition”. It is one thing to be optimistic and it is another to be unrealistic – and believing that the C8, mid-engine Corvette will debut at an endurance race is unrealistic. It is just too big of news to bury the debut, even the debut of the race car variant, at an event that doesn’t get broad media or public attention. It is far more likely that that Chevrolet announces on Friday will be some raced-up version of one of the current Corvette packages. Based on past special edition packages and in looking at the option packages already available for 2019, it seems likely that the announcement will pertain to some racing-inspired appearance package. 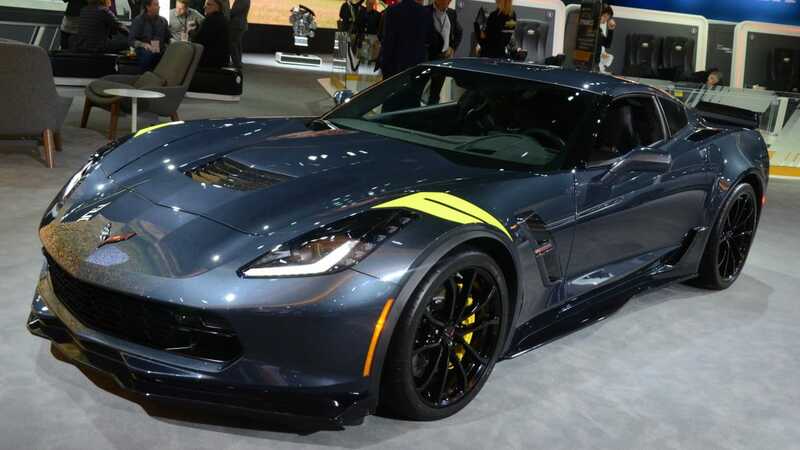 It could be something with lots of exposed carbon fiber on the premium aero kits for the Z06 and/or ZR1, or it could be a package inspired by the Corvette Racing team cars. Finally, with many people expecting the 2020 Chevrolet Corvette to be a C8 with a mid-engine design, those people believe that this special edition package could be a sort of final edition package for the C7. If the C8 is going to arrive for the 2020 model year, it would certainly make sense for the company to offer up a final edition package to commemorate would could be the last front-engine Corvette ever. In any case, by this time Friday, we will know what Chevrolet has planned for the 2019 Corvette in terms of the first special edition package. Looking forward to to new car at Daytona!